Happy Earth Day! Today is the opening day forRevolution, a new documentary byRob Stewart. Follow this link to find out how to watch the film, or read on to hear about it in Rob’s own words. Revolution is a film about the evolution of life and the revolution required to save us. It chronicles lifes journey through 3.7 billion years and five mass extinctions, profiling some of todays most remarkable species, both those that will surely survive this extinction, and those teetering on the brink. Revolution is an adventure following me on a four-year, 15-country journey into the largest movement thats ever existed: working to save the environment. Revolution is based in science, so it hits hard, but its optimistic, as there is a lot thats going on out there. Q: Youre distributing Revolution in a very different way Tell us your plans? Sharkwater came out in theaters and went into a traditional distribution model, which was great for a time, but it meant that the film was often wielded for profit instead of impact. We actually just bought Sharkwater back from Warner Brothers to release for free on YouTube. With Revolution I wanted to make a film that could do the greatest good possible, by being seen widely and becoming a tool for the conservation community. I think that far more money and support would flow to conservation groups if the public were aware of the size and severity of the predicament that we find ourselves in. So I hope that by releasing Revolution in this way, online, as a tool for conservation groups to raise funds, and eventually free, we can generate a lot of support for the movement as a whole, and provide a tool for everyone to rally behind. Q: Why did you make Revolution? 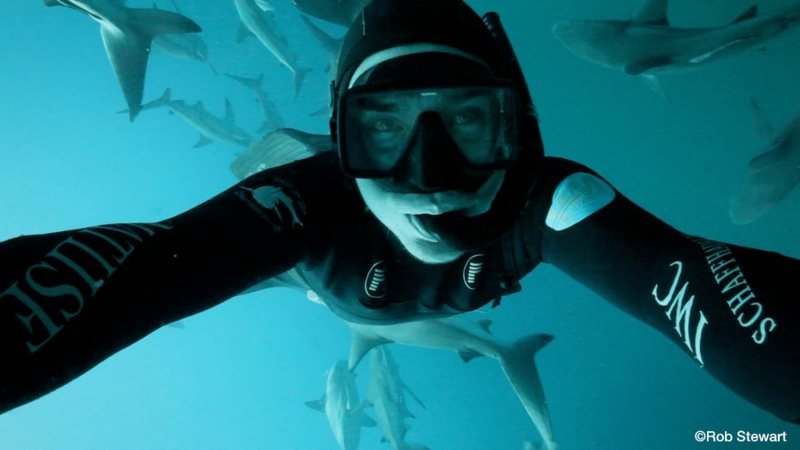 After we released our first film Sharkwater, it was clear that films could change the world. People fought for sharks, government policy changed, conservation groups were formed, and shark fin imports to China dropped dramatically. Information changed the world. 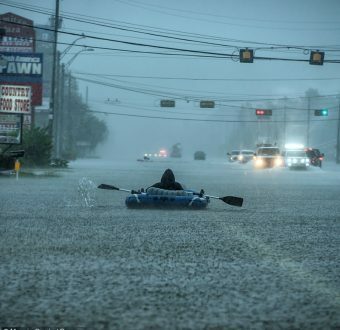 But by the time we were done, it was clear we needed to save more than sharks; we needed to save ourselves. I hoped that giving people an understanding of life would help them want to fight for it, and to make less destructive decisions and create a better world. Q: What surprised you the most in making Revolution? I traveled the world to find the best conservation movements, and discovered the ones that impressed me most were kids working to change the world and fighting for their future. Kids are going to be a massive part of the revolution. Another big surprise in the making of Revolution was Canadas involvement in the destruction of our life support system. As Canadians, we think Canada is a great country environmentally; we have these huge wild spaces, we gave birth to Greenpeace and the environmental movement. But the truth is far different. We are one of the worst countries environmentally. In fact we are so bad environmentally that we are given awards every year by the environmental community for being so destructive and for inhibiting any other country from coming to an agreement to stop climate change and carbon pollution. 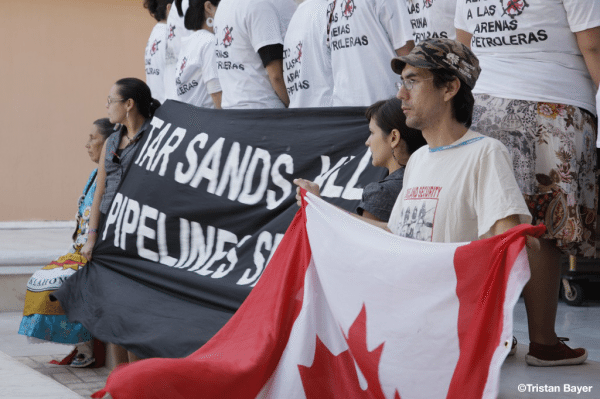 Because Canada profits so greatly from the tar sands, we thought we really needed to bring that into the spotlight and make sure every Canadian and the rest of the world — knows whats going on. Q: Its been about 10 years since you started working on Sharkwater. What keeps you inspired? What keeps me inspired is the world changing and the fact that this is working. If we were banging our heads against the wall and nothing was changing and nothing was going right, it would be pretty easy to give up. But every time we turn a corner theres a new conservation group, a new initiative, a new government policy thats changing and things are working; its going in the right direction. The more people get educated, the more they do change the world, so its pretty easy to stay inspired. Another thing that started happening when we began working for good and working to save ecosystems and species is that I found that everybody wants to help you fight for something. People will align behind you because its full of meaning and that gives their lives meaning and that gives you meaning, so its been a really beautiful process. Q: How do you not get overwhelmed when dealing with such a big issue? This is the most fun, most meaningful and most exciting thing to be doing right now. I believe the task of our generation is to save our life support system, and create a world that works for all species. Tackling this challenge forces us to grow and become better people. Working to protect ecosystems and species is also a great filter for amazing people to enter your life. Its not about saving the world in a day, but more about changing our direction as a species. Theres never been a better opportunity for anyone to become a hero, as everything we love is in jeopardy, and from that crisis emerges an immense opportunity for everyone to be all they can be. Ocean acidification is probably the biggest issue on the planet right now, but it was only discovered recently, so most people dont know about it. The carbon in our atmosphere absorbs into the ocean, making the oceans more acidic. The oceans are already 30% more acidic than before the Industrial Revolution. In a more acidic environment, animals that build skeletons and shells cant form them properly and that includes fish, reefs, and phytoplankton the latter responsible for at least half of the oxygen in the air we breathe. Q: What species in Revolution are your favorites? I thought that the pygmy seahorse vs. the flamboyant cuttlefish would be a great story to tell. The flamboyant cuttlefish is one of the most amazing cephalopods. Theyre poisonous, and advertise their toxicity with bright colors and movements. As an invertebrate theyre positioned to survive this acidification-caused extinction. 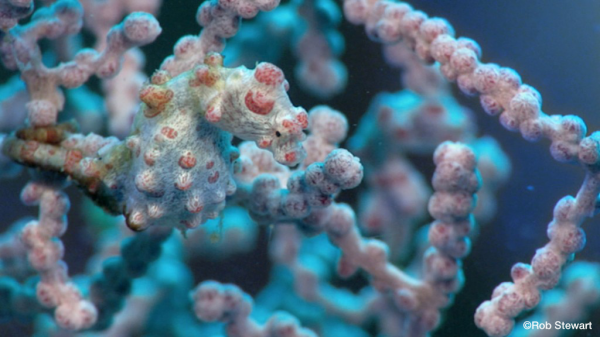 Pygmy seahorses mate for life, talk to each other and the male gets pregnant. They live entirely on coral, have a skeleton, and in a world where our oceans get more acidic and reefs disappear, they could be one of the first to go extinct, unless we change our ways fast. 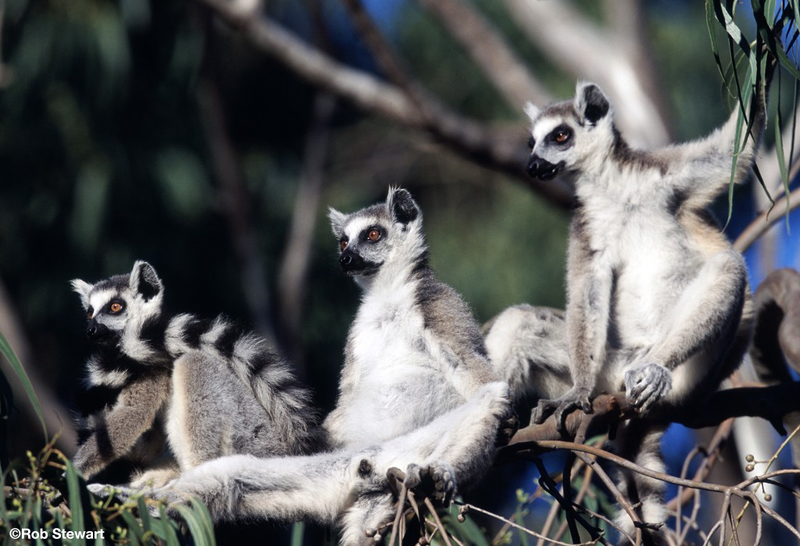 Q: Tell us about shooting in Madagascar as an example of the 15 incredible countries you filmed in? When shooting Revolution it was really important for us to show audiences some incredible footage they wouldnt see anywhere else, so I had to figure out what hadnt been filmed before. Normally, as a wildlife photographer youd have to go to one place and sit for months waiting for an animal to do something, but because we were on such a limited budget I had to work within a very short time frame. Luckily, because Id shot there when I was younger, one of the locations I knew would be perfect was Madagascar. So I retraced my steps and went to the exact same places Id gone to years ago. There, we got a very funny scene of shifakas, which are lemurs, really primitive primates that have been around 75 million years. Lemurs have four hands and no feet because they spend all their lives in the trees, but when they get into stressful situations, theyre forced to cross land and they have to move sideways, so they do this really funny dance, and for us it was a really interesting way of illustrating whats happening to these species. For many species like lemurs their populations are getting fragmented and their habitats decreasing, so they have to cross roads and farmland to get to new area of forest. We thought that would be a beautiful way to illustrate itan amusing-looking behavior that illustrates a very serious problem. Q: What can people at home do to become part of the solution? Education is key. Until our communities understand the issues, the few people that do will be considered radical or outsiders. The greatest predictor of human behavior is the expectations of our peers, so bringing our friends and families on this journey with us is so important. Once we know whats going on, our humanity, our morals engage, and we feel good about engaging in beneficial actions and badly about engaging in things we know are destructive. This way we starve destructive industries, and feed those that are good. Id offer this advice: watch what you consume. Every day you vote with your dollars, so be conscious of where that money goes and whether its making this world a better place or not. Q: If you had one thing to tell young people what would it be? Get involved and fight for something. Instead of fighting against our problems, industries and destruction, imagine a world that works for all species and fight for it there will be far more energy behind you and less resistance ahead of you. If you want to live in a beautiful world, much needs to change, so dedicate your lives to this by using your talents and unleashing your genius to figure this out. Past revolutions have all been led by those most directly influenced by the atrocity and now its your future thats at stake. You have enormous power, especially when you work together, so get involved, support conservation initiatives and invent your own. The future is what you make of it, and you have the chance to make it beautiful. Q: Why should people share Revolution? We need to save our life support system (the earth) and our future, but until people understand the problem, we will continue to destroy the world with our actions because were unaware. Getting people educated is Step One!